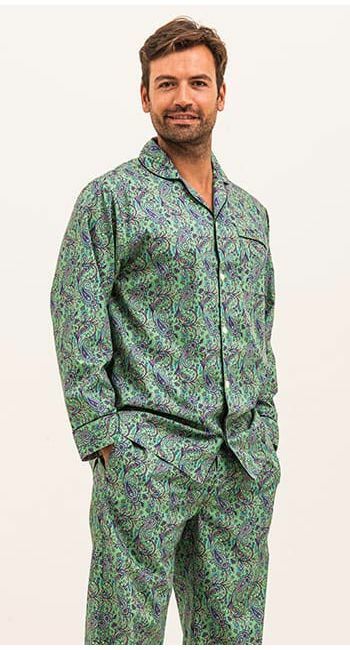 It's a pattern that's back in vogue and these quintessential paisley pyjamas are a must-have sleepwear item for those seeking a hint of sartorial elegance in the bedroom. Finished with navy blue piping and real shell buttons. Trousers also sold separately. The same paisley print is also now available in green. Made in Britain like all of our nightwear.